MOSCOW, March 8. /TASS/. 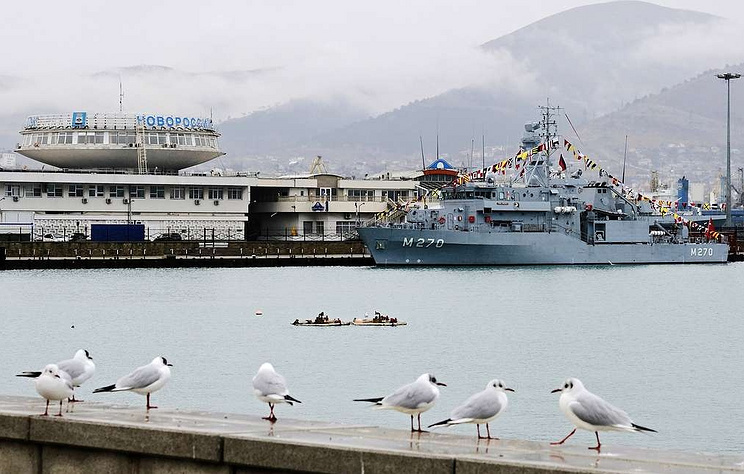 The Russian Black Sea Fleet held joint drills with the Turkish Navy whose naval group completed its business call at the port of Novorossiysk, the Fleet’s press office reported on Friday. "During the drills, the patrol ship Vasily Bykov, the sea-going minesweeper Valentin Pikul of the Novorossiysk naval base held joint Russian-Turkish drills with the foreign corvette Burgazada and the minesweeper Akcay," the press office said in a statement.